The department consists of five public relations officers (PROs) and is structured to maximise each individual’s strengths, with one PRO looking after each of our core tasks (social media, events, crisis communications, case studies and proactive media sell in). The PROs are headed up by a head of media and campaigns and supported by an administrator. By exploiting the natural strengths of the team in specific areas of public relations, rather than assigning a different PRO to each department, eg Welfare PRO, Membership PRO, Fundraising PRO, we are able to draw on specific talents to bring a more complete and holistic comms strategy to each project as it arises. How have you ended up in the award shortlist? The past 18 months have been extremely busy for the Legion's PR department, as we've had several nationally recognised projects that have garnered significant media attention. But more than that, I think the public's continuing and growing support for our Armed Forces has almost certainly led to the Legion's work being recognised as more significant than ever before. The team is extremely driven and we hope that the work we do plays some small role in supporting those who need it most in the Armed Forces community. I would like to think this is a key reason for our success. 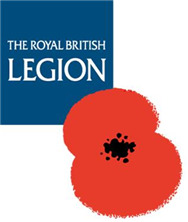 There has been a focused and planned push to communicate that the Legion is an 'Armed Forces' charity that looks after those currently serving, as well as the ex-service community. This message was driven home by our much discussed poster and billboard campaign last year, which featured only those affected by the conflict in Afghanistan; people know we do WWII, so we concentrated on what they don't know about us. As for specific initiatives, it would be hard to single out one thing. I am especially pleased with the way the Poppy Appeal has gone from strength to strength: last year we smashed all previous records, raising over £33 million. More than anything, I think the team's success and nomination is down to it being a very strong group of people who are genuinely passionate about their work and understand the industry and the way to operate effectively within it. Ask yourself: what is my main effort and how do I communicate that in one easy message. Once you have that message, repeat it over and over again, at every opportunity. Never "guilt trip" people into doing what you want them to do, whether that be donate, volunteer or write articles about you. It’s cheap, and at the end of the day if people don't believe in the cause there won't be any longevity to the relationship. Pull on the heart strings by all means, but don't sell yourself or your charity short; people will not respect you for it. The best PROs think like journalists. Bombarding journalists with press releases is not going to do anything but annoy them. If your story is strong enough and you pick your publications carefully, your words will always carry. And remember, there can be no substitute for the personal approach. Go out for a drink, lunch, whatever… just get to know the people you're seeking to influence.